Bed Aid Rise Easy, Swing Away Support Bed, Adjustable. 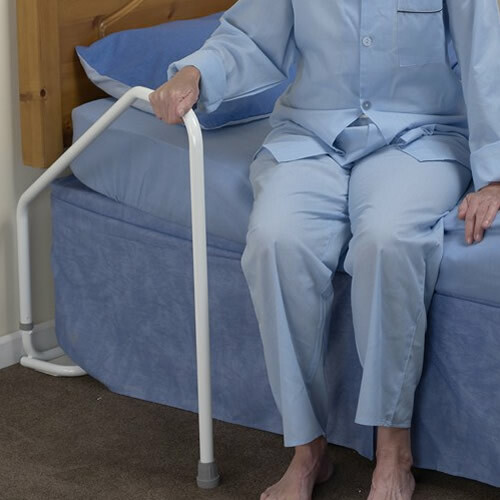 The Rise Easy swing away support bed rail is designed to assist the user in rising from or sitting up in bed, without interfering with bedclothes. Easily secured with an adjustable base plate that fits under the legs or wheels of a bed. Suitable for all types of beds including divans. Available in a single or double bed version. Can be used on either the left or right hand side of the bed. Constructed from sturdy epoxy coated steel.